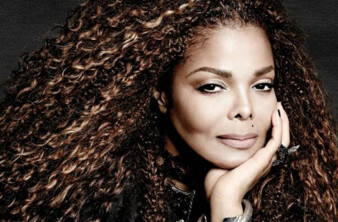 Janet Jackson has confirmed her separation from estranged husband Wissam Al Mana, while announcing new concert dates. The pop superstar sent her many fans into a frenzy by launching a countdown on her official website over the weekend and when the clock hit zero on Monday, she made a stunning announcement. "This message was supposed to be about something else, but I'll get to that in a minute," she said in the footage. "I just want to keep it real with you guys for a second. Yes, I separated from my husband. We are in court and the rest is in God's hands." News of Janet's split from Wissam broke in April, just three months after the former couple welcomed a son, Eissa. Eissa is their only child together. "Hey, you guys, it's me, Jan - just in case you don't recognise me, 'cause I have put on quite a few (pounds) since I had the baby," she smiled at the beginning of the video. "But I thank God, I thank God for him, you guys. He is so healthy, so beautiful, so sweet, so loving, such a happy baby." At the conclusion of the message, Janet cut to the chase about her true intentions for the video, revealing she'll be hitting the road for several shows in just a few months, resuming the postponed Unbreakable World Tour, which has now been renamed. "I'm so excited, you guys, so excited," she gushed. "I decided to change the name of the tour - State of the World Tour. It's not about politics, it's about people, the world, relationships and just love... I cannot wait to see you on stage. September 7th." Janet postponed the Unbreakable World Tour in April of 2016 to start a family with her third husband. She and the Qatari businessman tied the knot in 2012.